Steve Sims grew up in the outskirts of London, and he started out as a doorman just like I did. When Steve started his business in the USA he asked for $500 a session, just like I did. We had a great conversation about our commonalities, needless to say we got along. Steve is the founder of Bluefish, one of the world’s top personal concierge services, and an expert marketer in the luxury industry. Making it happen is what he does, known as the man who literally does what no one else can. Tune is and hear Steve’s adventures living in Hong Kong and Switzerland and then his move to the US to build his empire. Brash and honest is how he is, and he holds no bars when he talks about the world in general, it is refreshing to see a person not really worried about all the bias and hate in the world these days. Attitude is a key component of “making it happen” and the effect you have on those around you can be measurable and used to your advantage while doing the incredible. Being aware of your talents and making them the point of your passion can provide a life most only dream of. 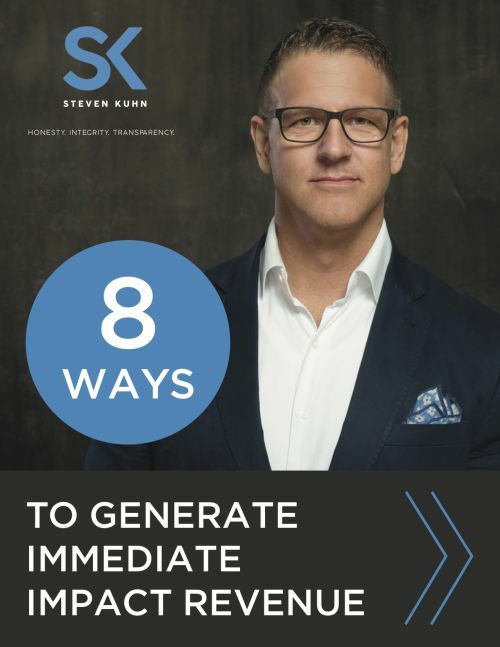 REMEMBER: When you join my group consulting program here (https://steven-kuhn.com/immediate-impact-revenue-program/), you get discounts on all future training and have access to my team and I 24/7! If you have not done it yet, grab your FREE guide on creating IMMEDIATE REVENUE!